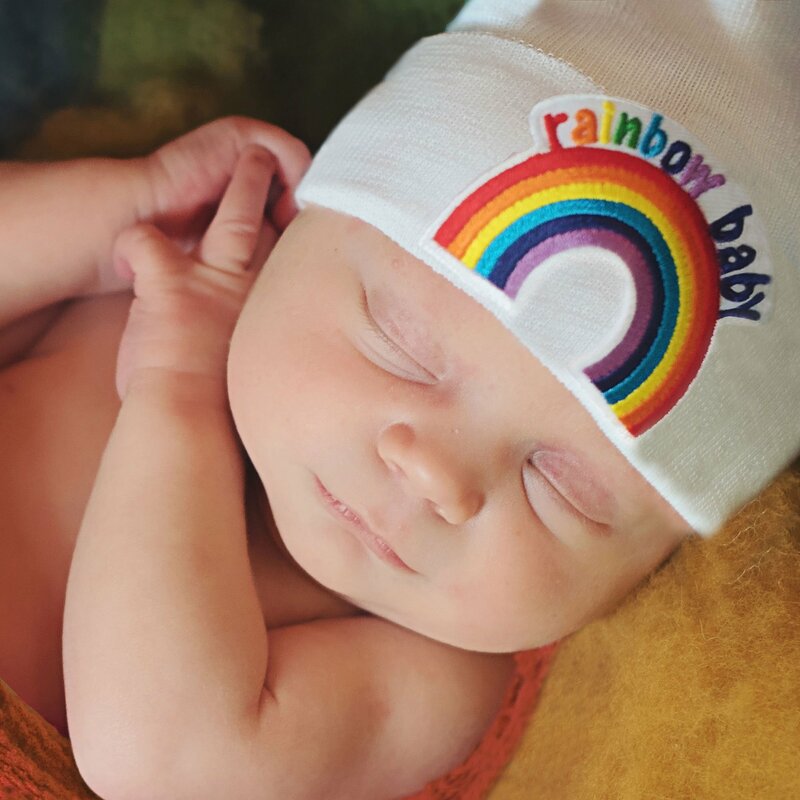 This cap is gender neutral in white and features 2-ply knit fabric that makes it two times warmer than traditional hospital beanies and features "Rainbow Baby" over a bright and cheery embroidered rainbow. Your baby will be kept warm and cozy wearing this cap in the nursery. 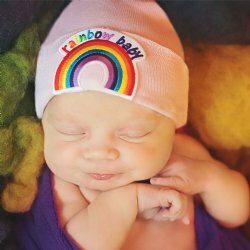 Perfect for baby's first photo, too. 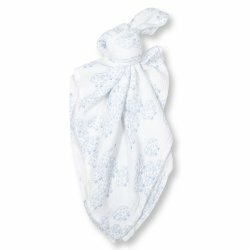 A great baby shower gift and keepsake.